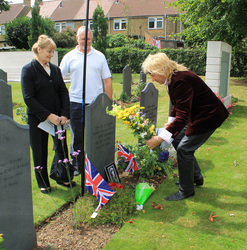 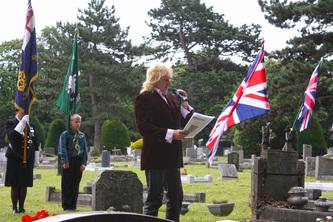 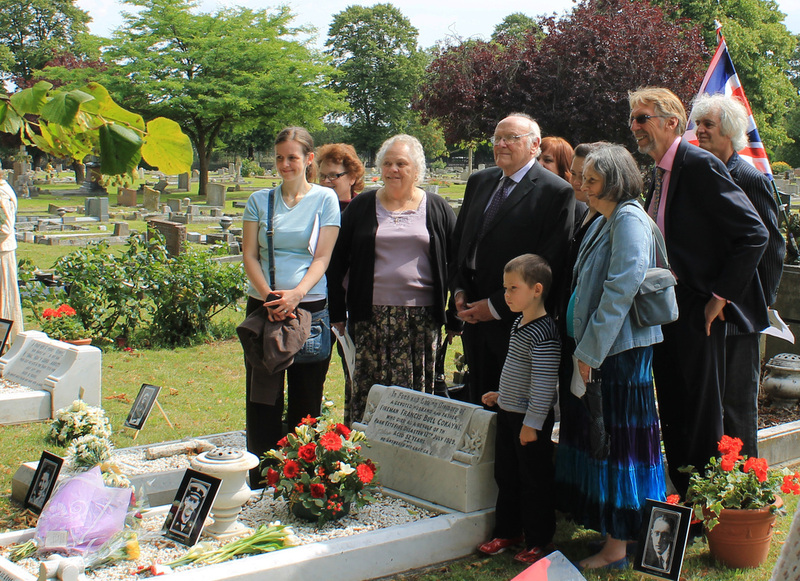 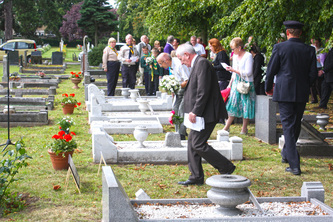 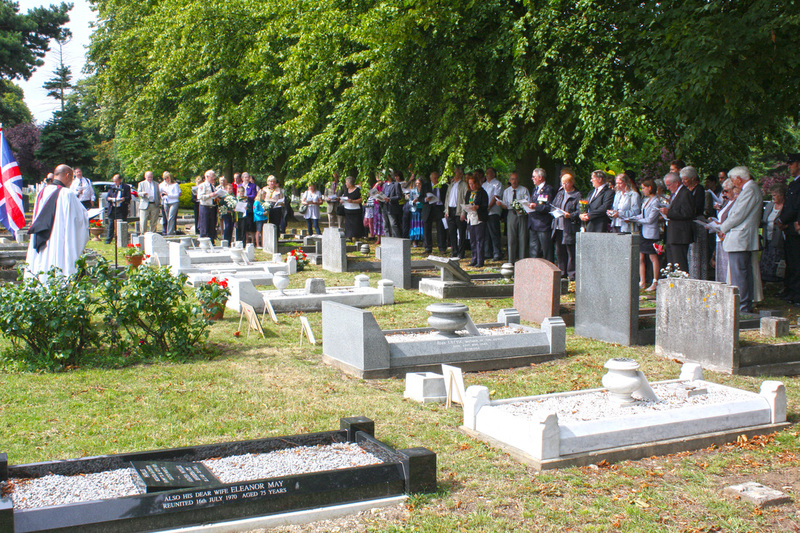 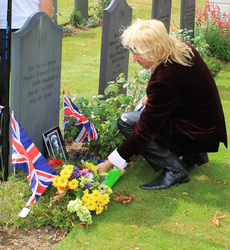 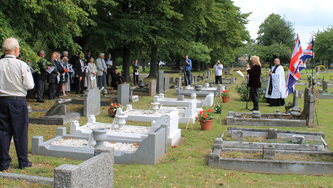 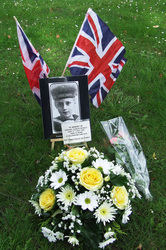 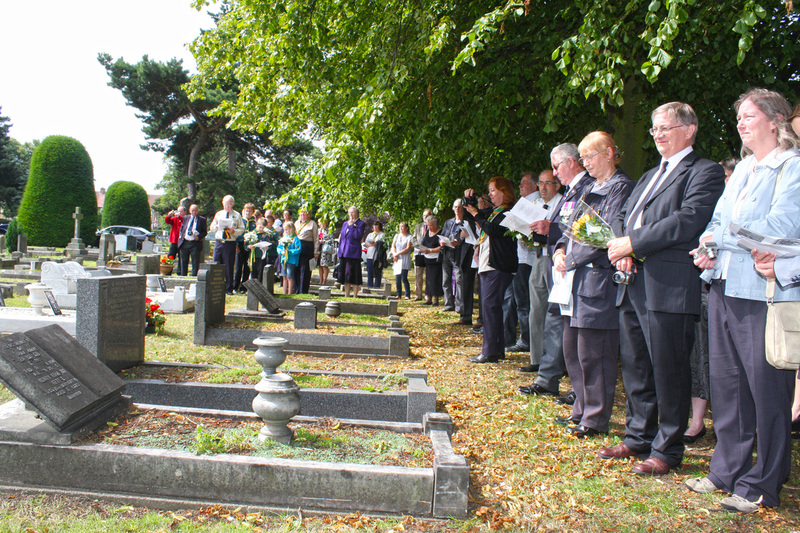 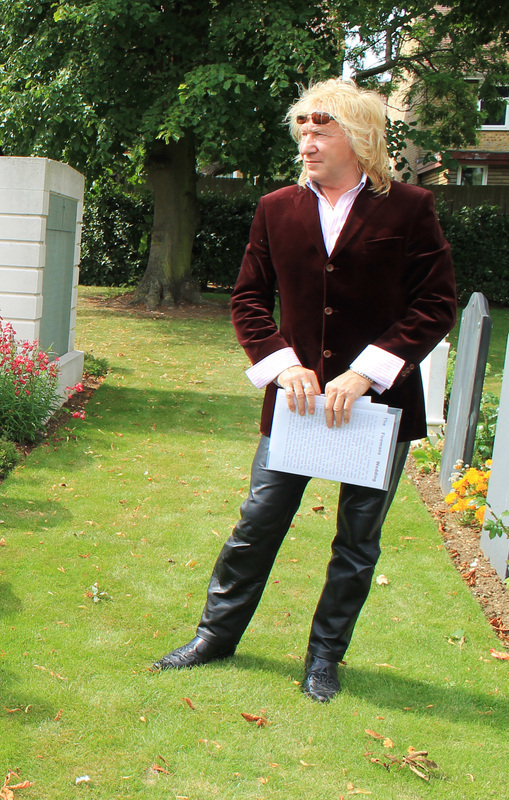 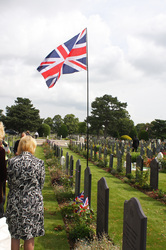 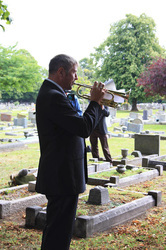 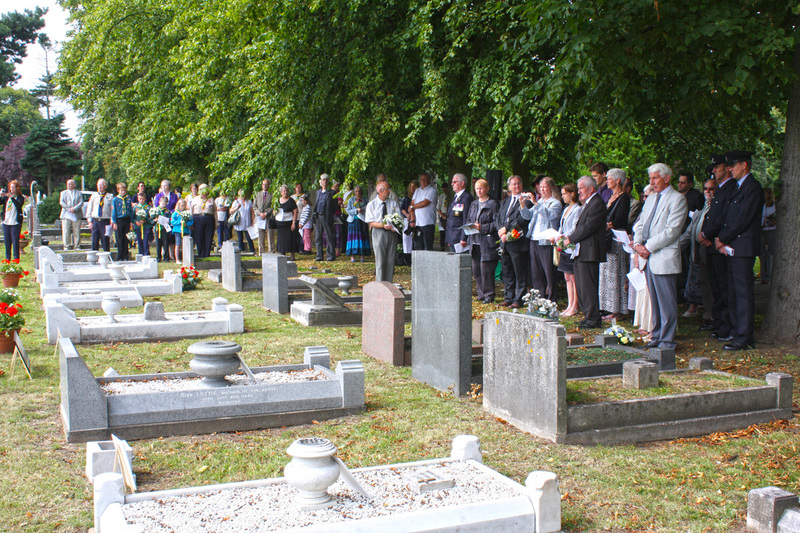 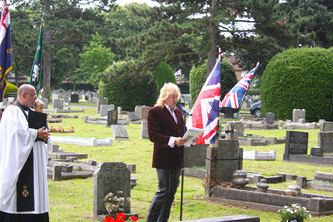 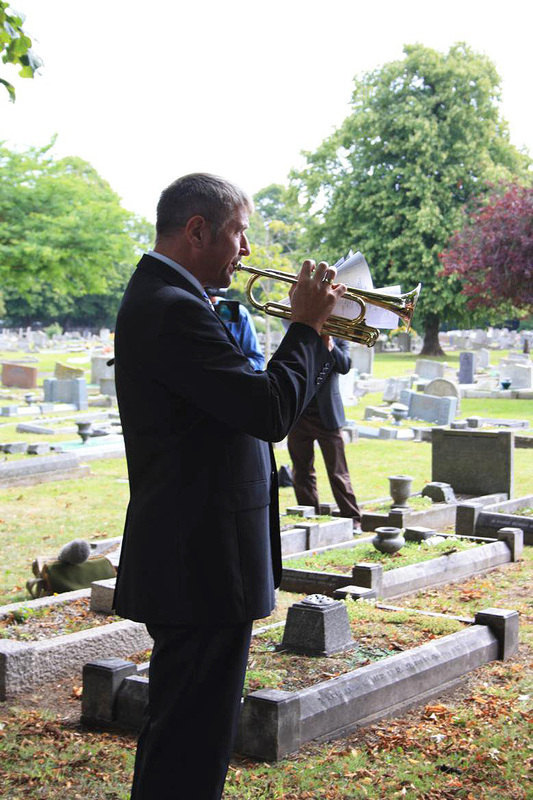 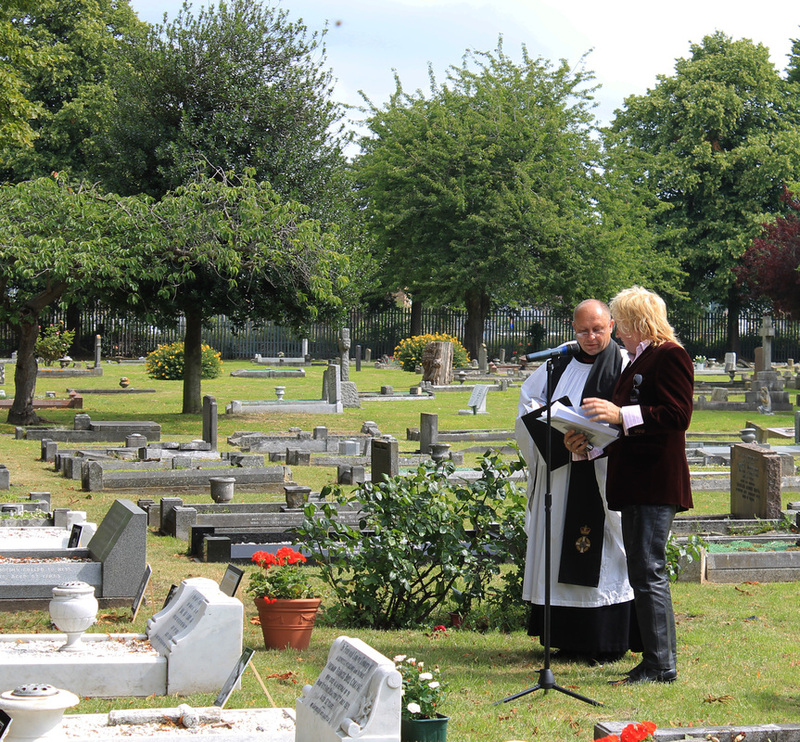 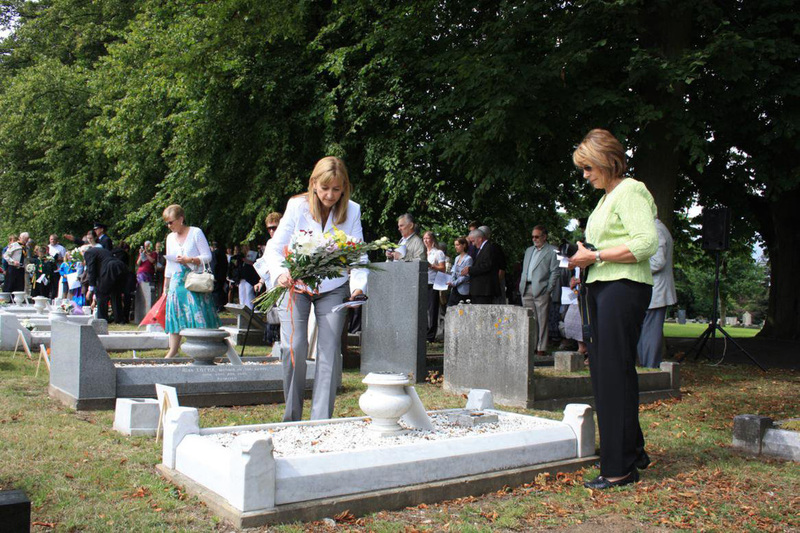 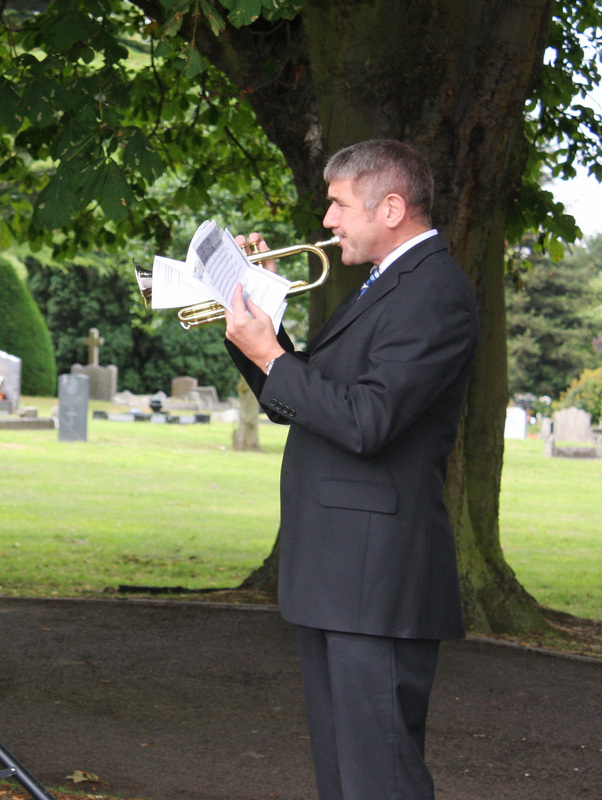 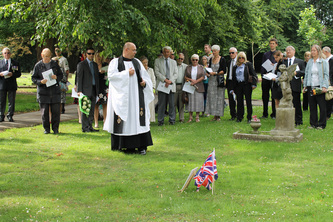 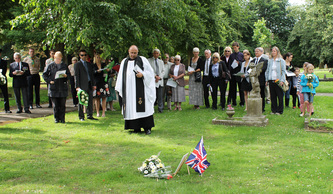 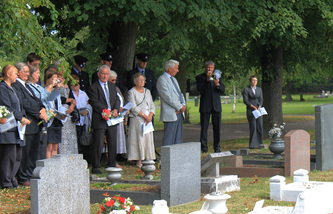 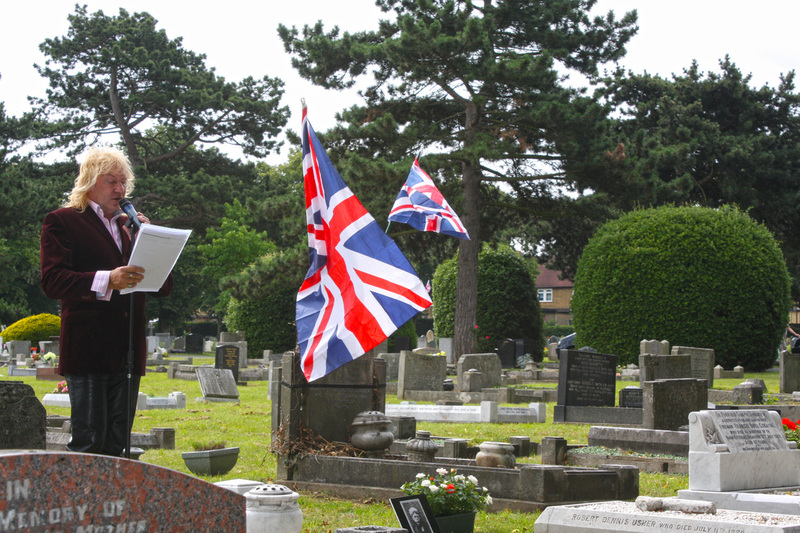 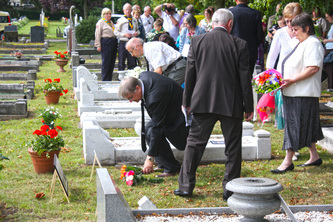 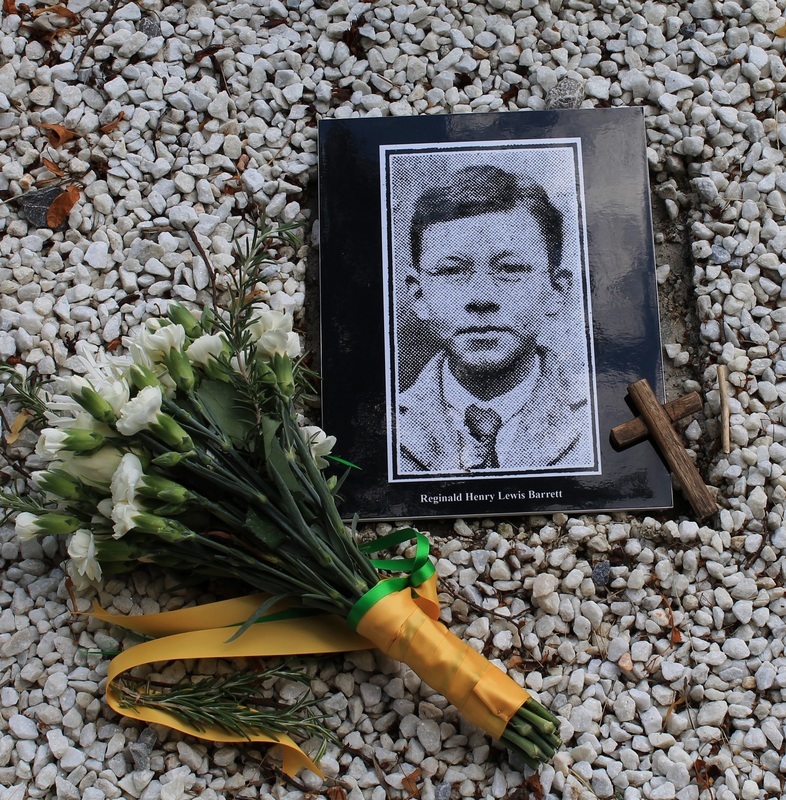 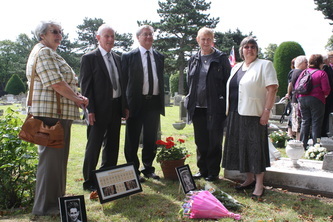 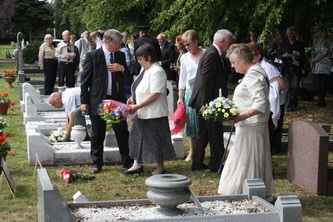 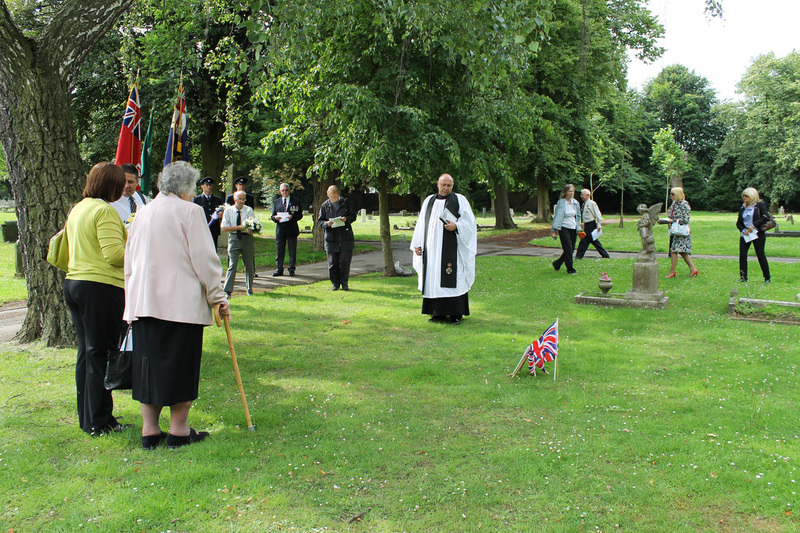 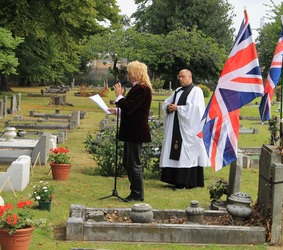 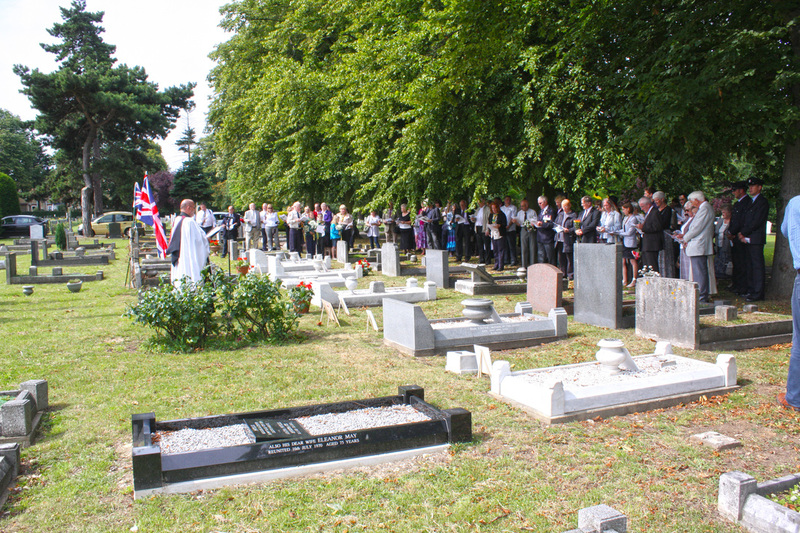 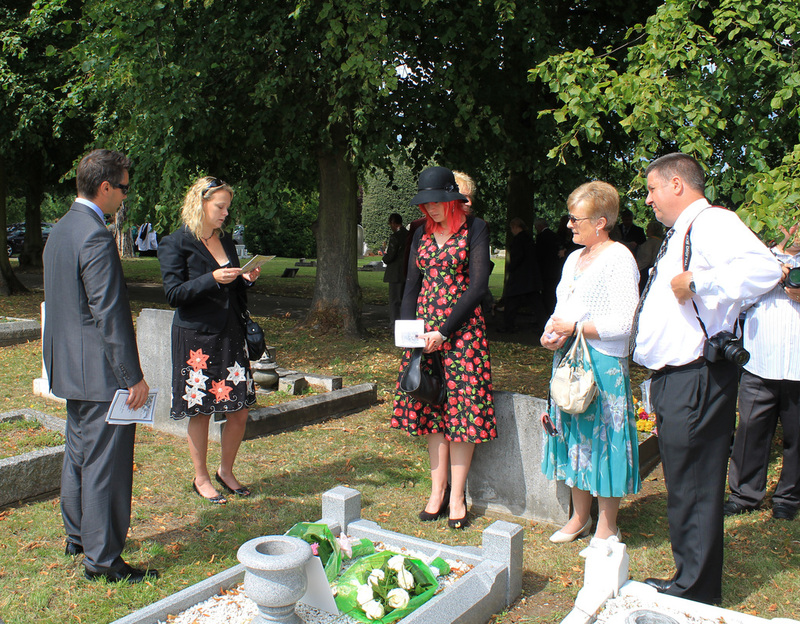 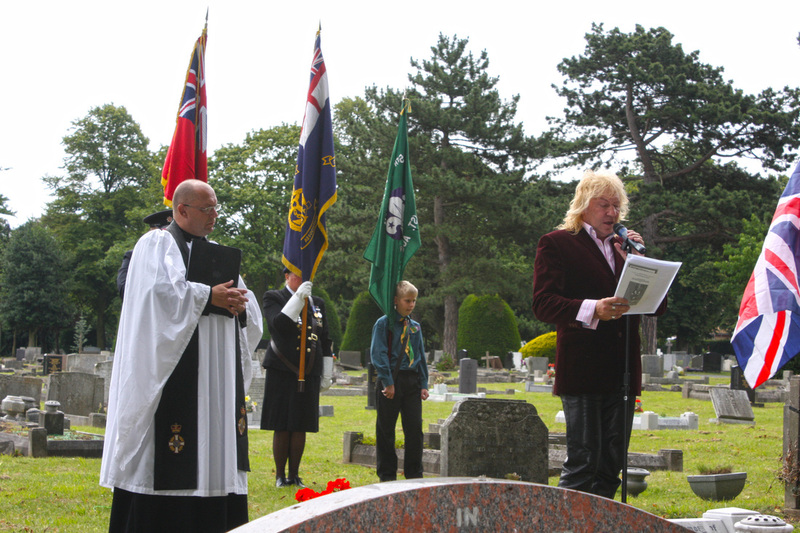 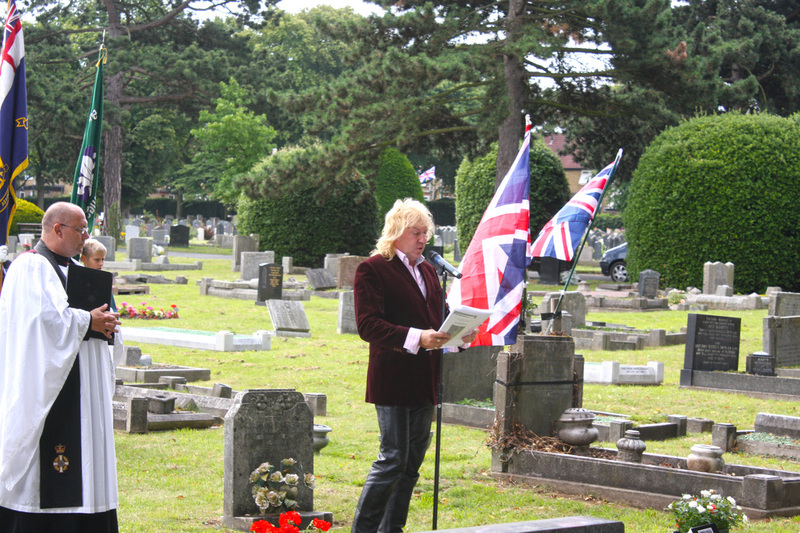 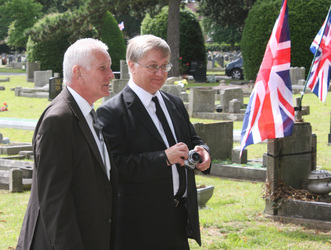 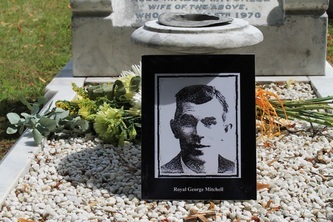 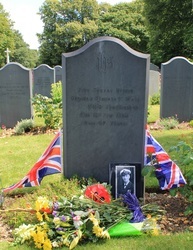 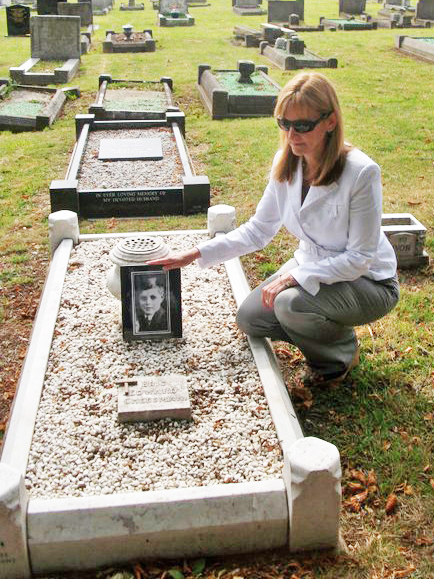 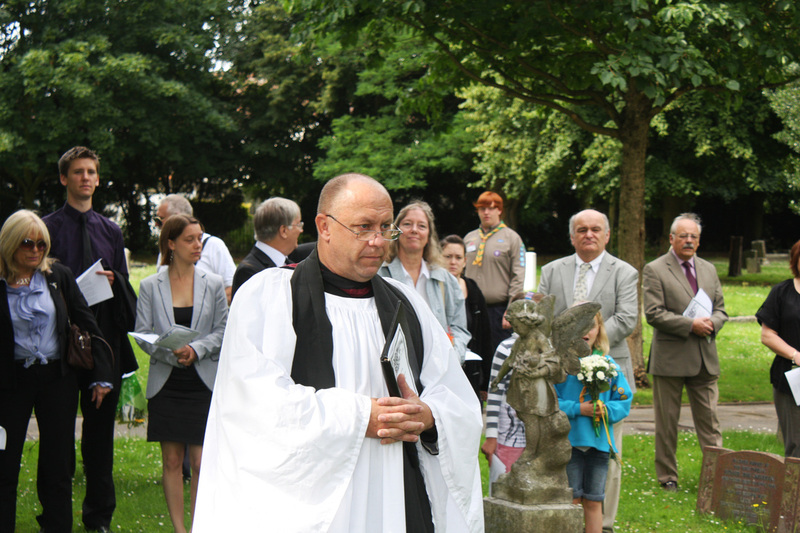 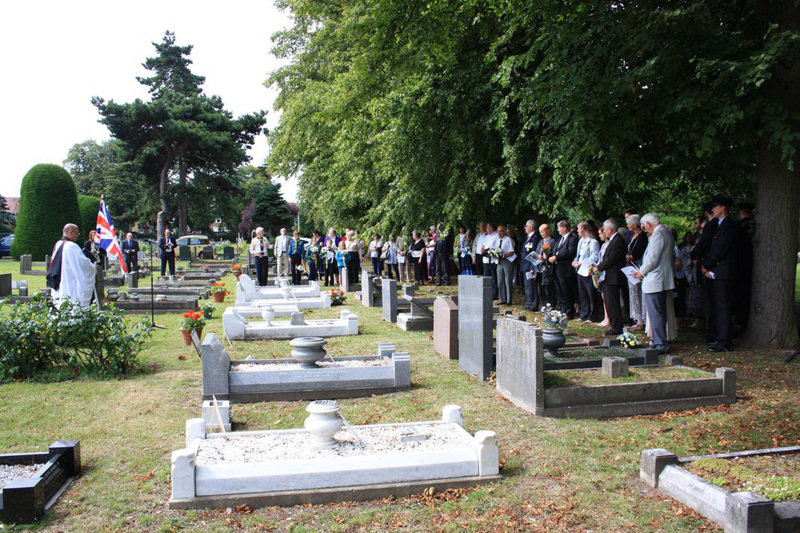 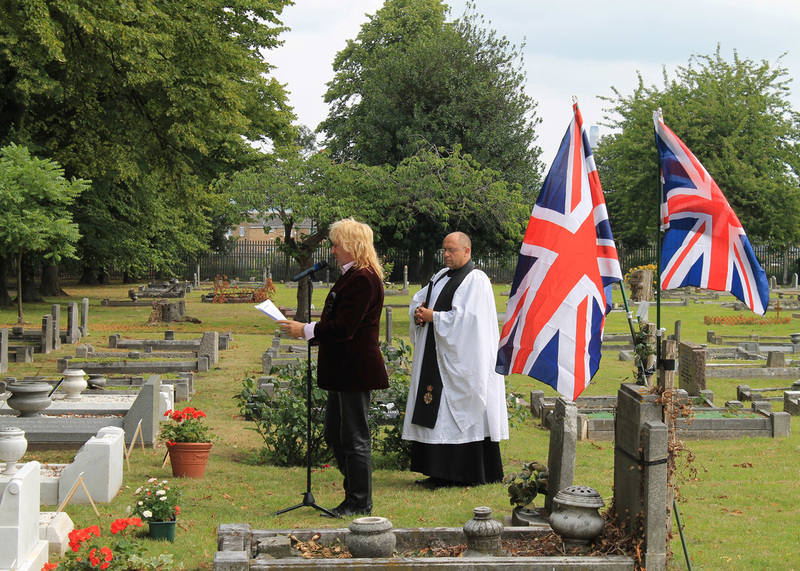 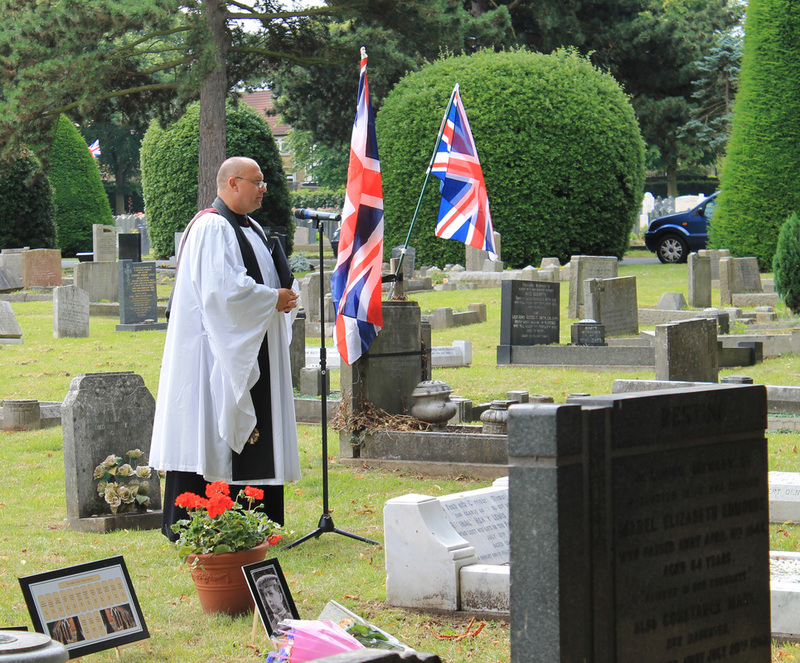 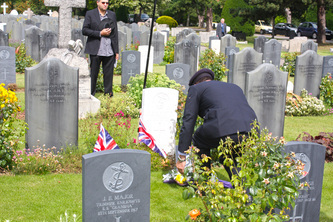 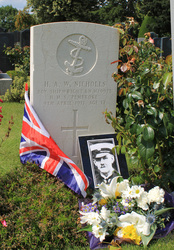 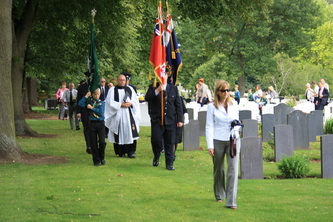 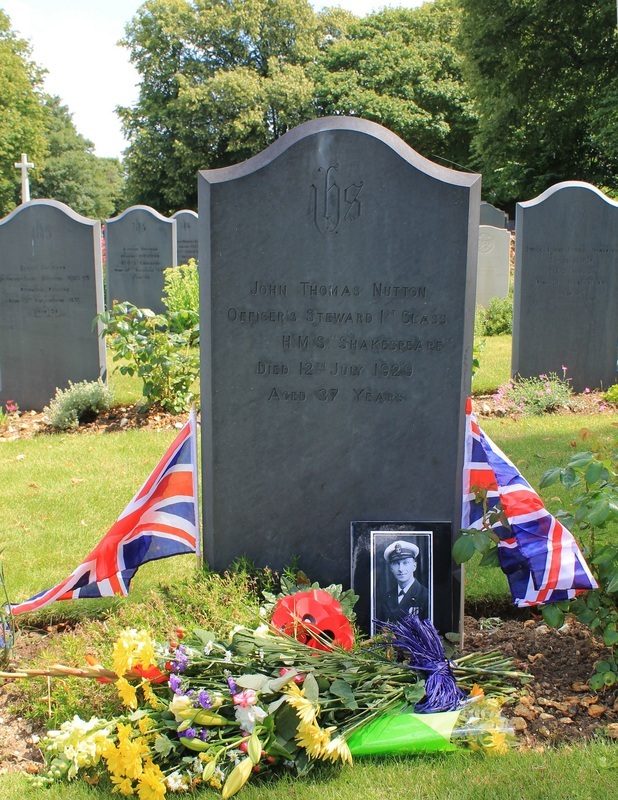 At 10am on the morning of the unveiling ceremony, a private family commemoration service was held in the Woodlands Cemetery. 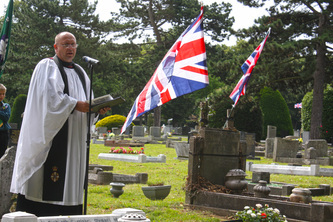 Reverend Johnathan Jennings of the St. Augustine's Church officiated. 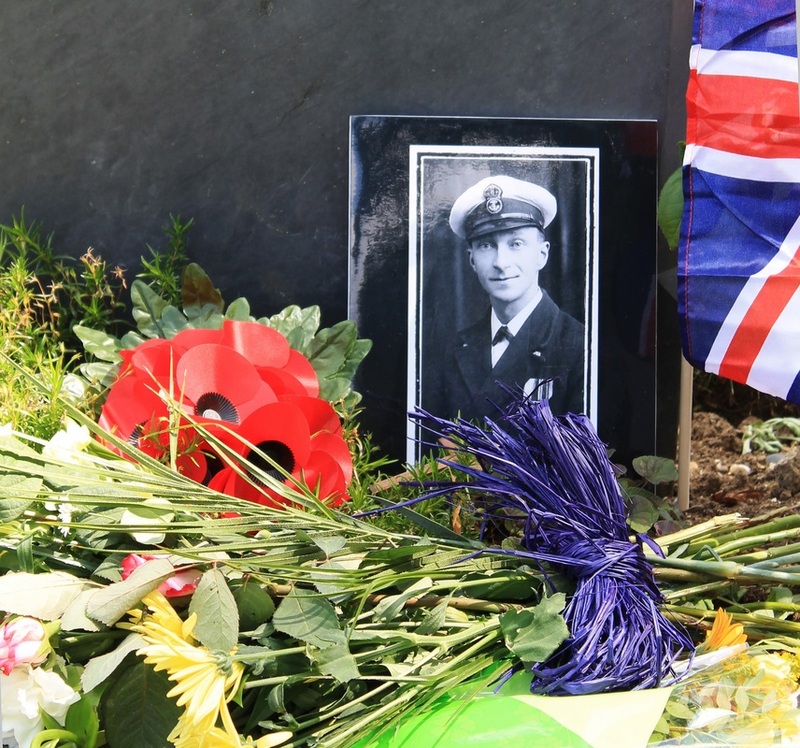 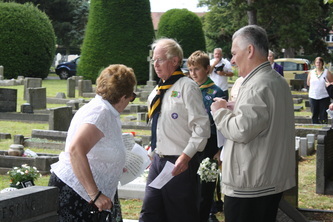 The service was attended by family members, the Kent Fire and Rescue Service, North Kent Group, 5th Gillingham Scouts, Chatham Royal Naval Association. 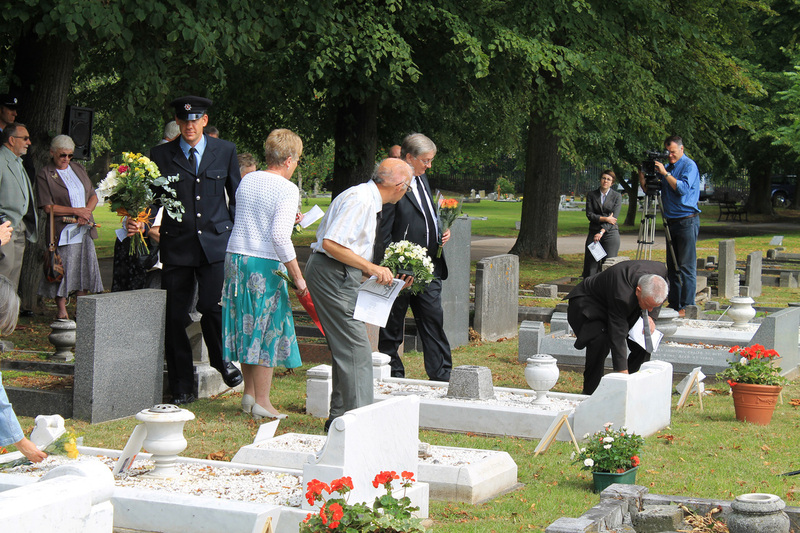 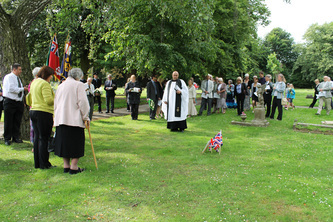 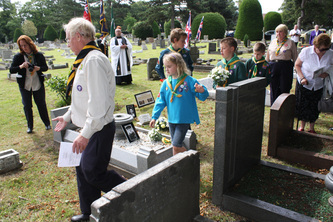 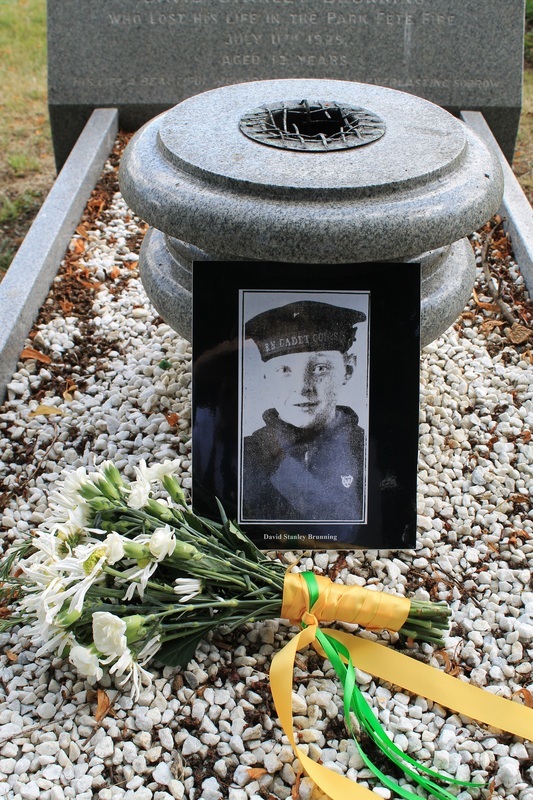 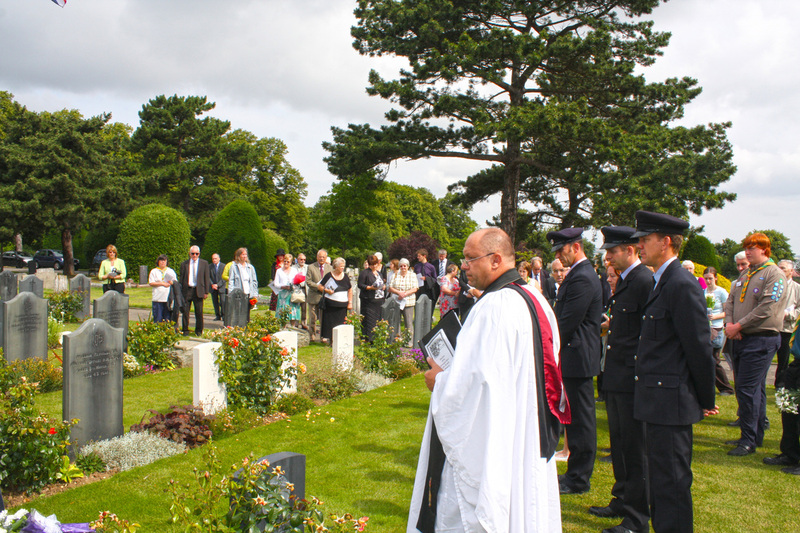 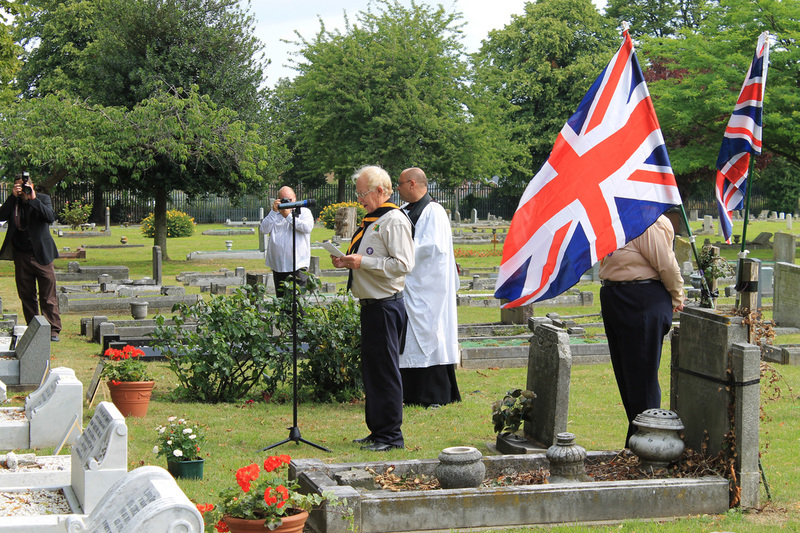 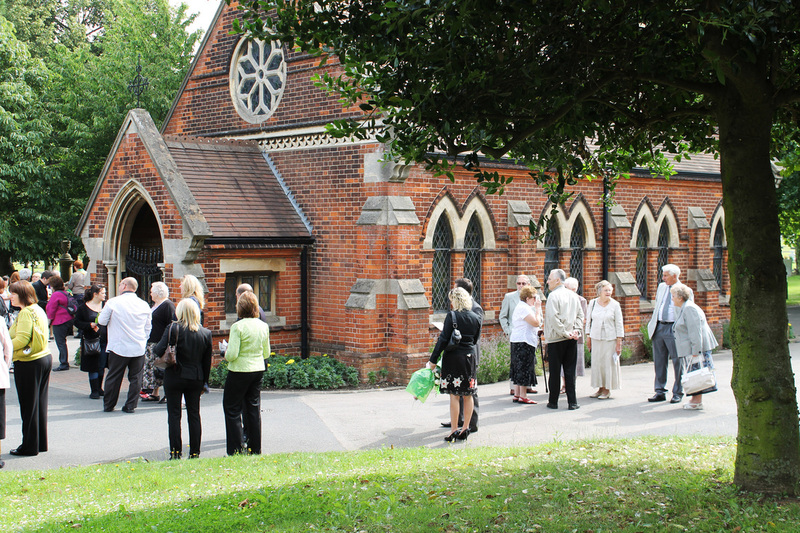 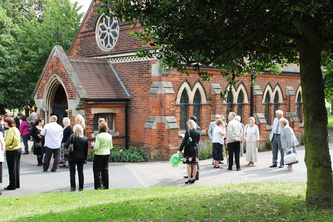 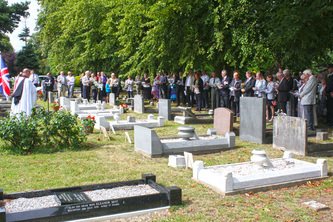 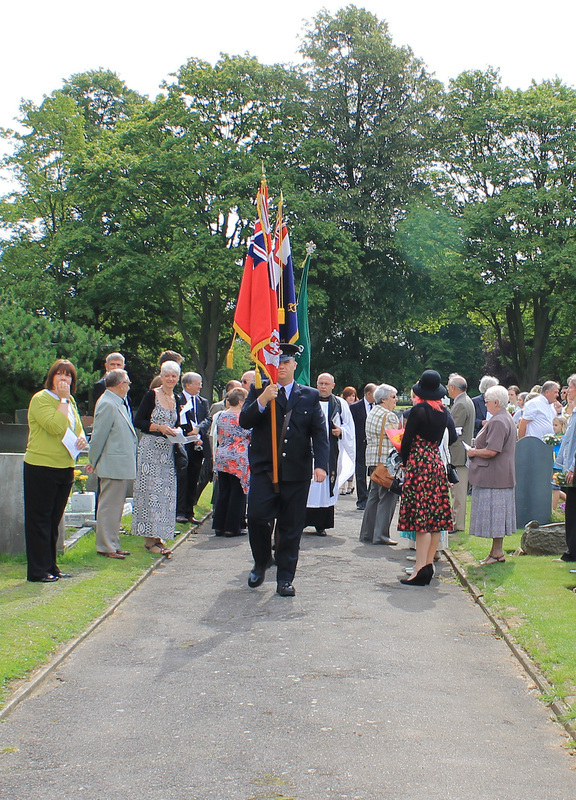 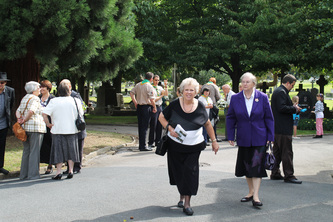 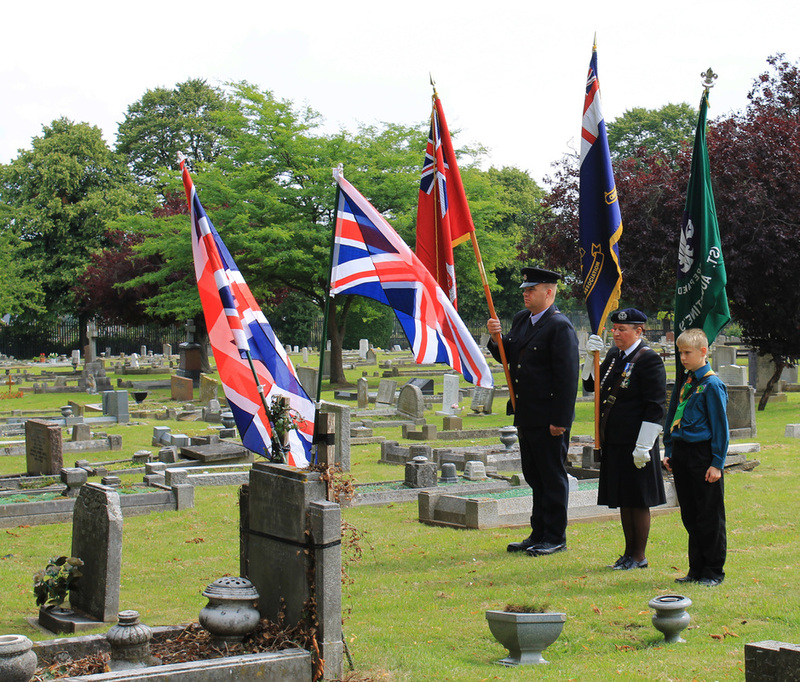 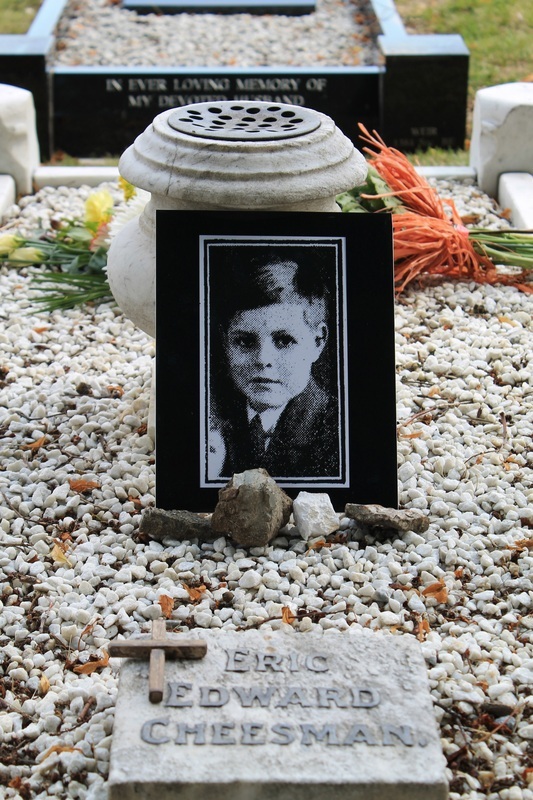 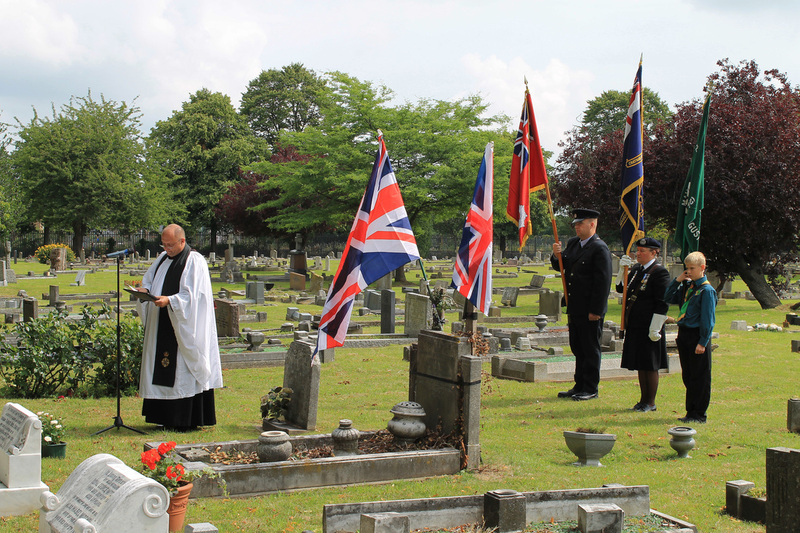 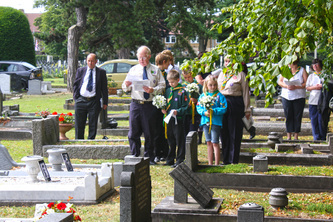 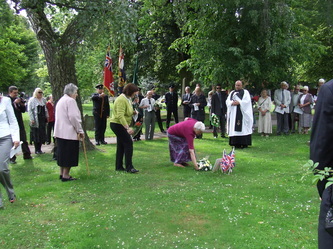 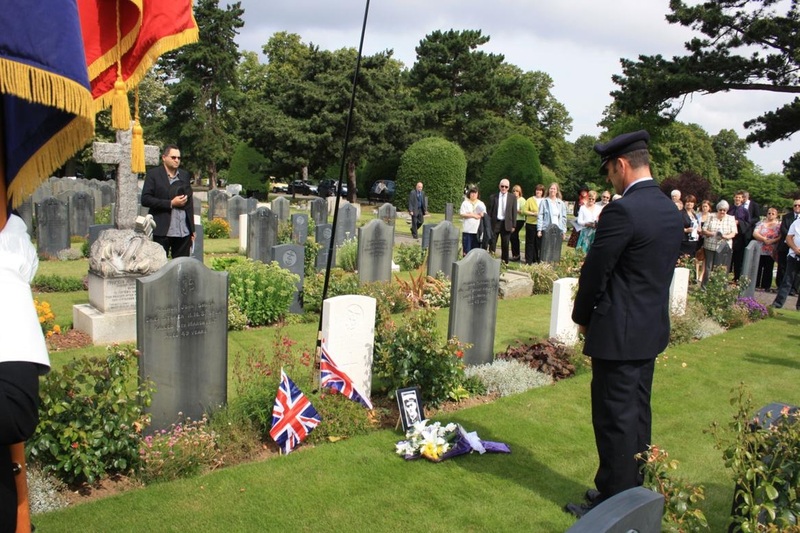 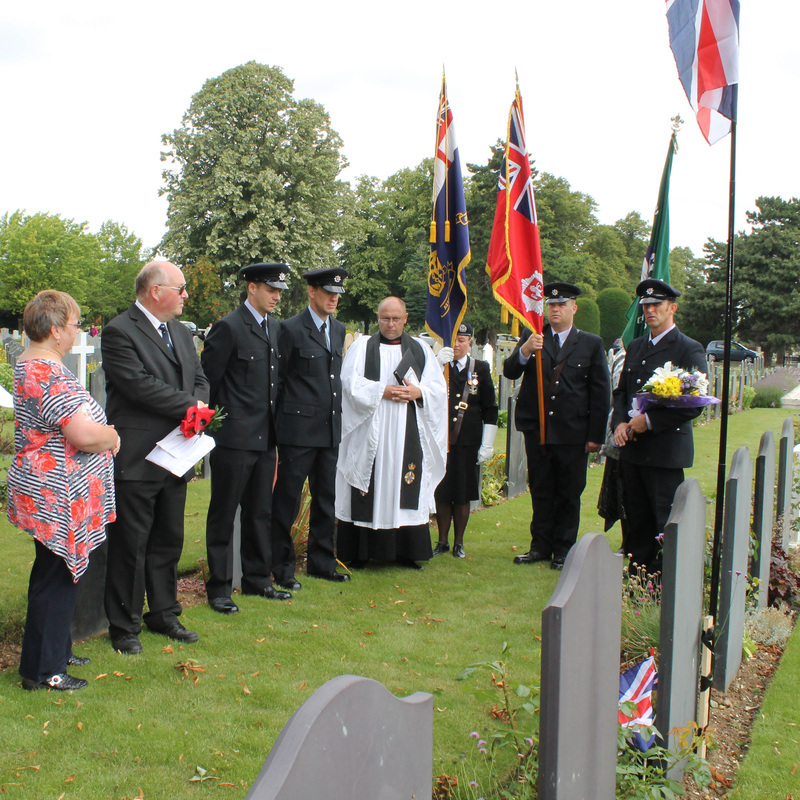 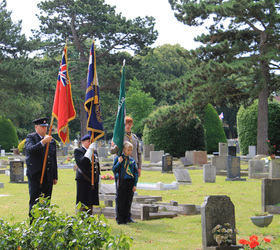 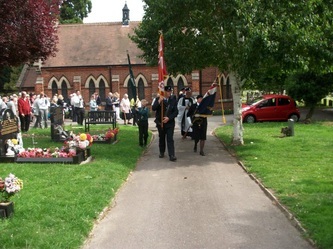 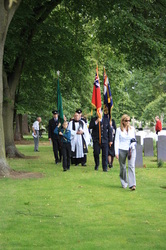 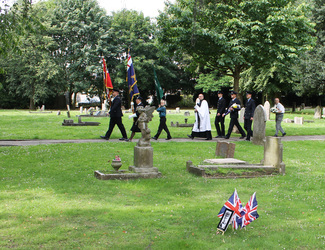 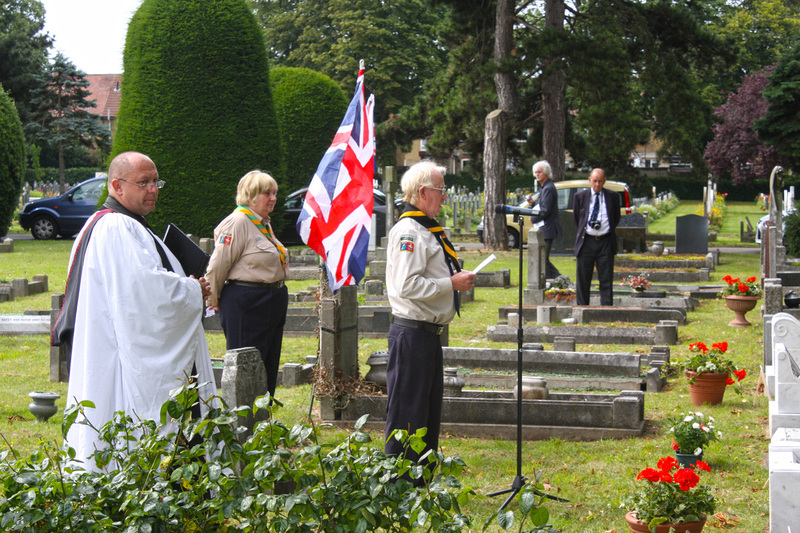 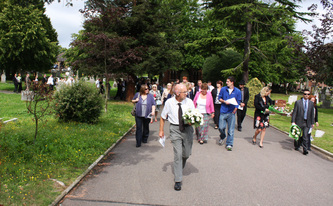 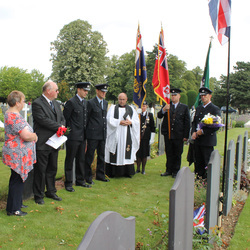 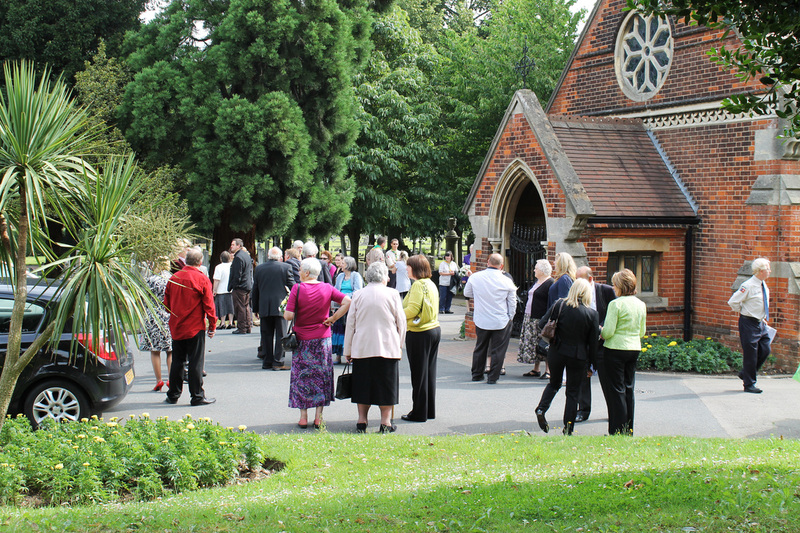 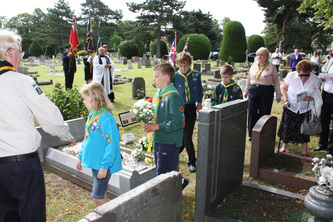 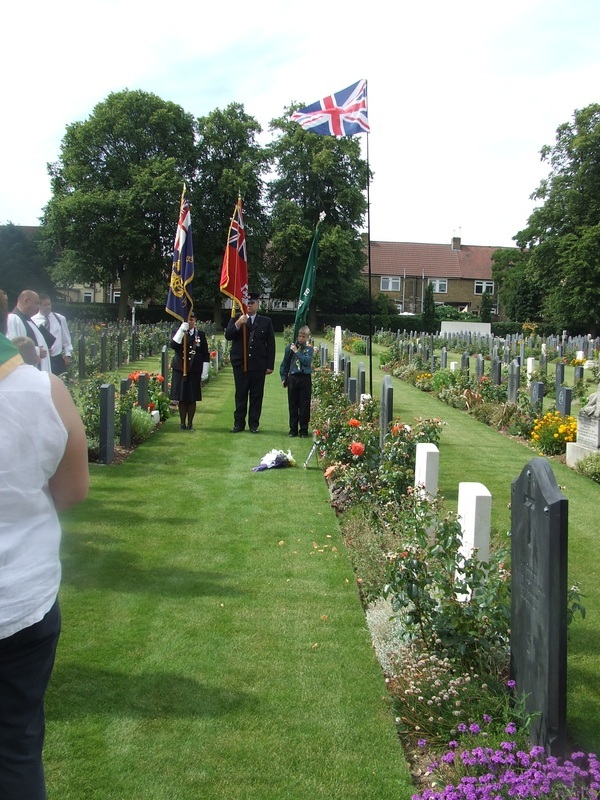 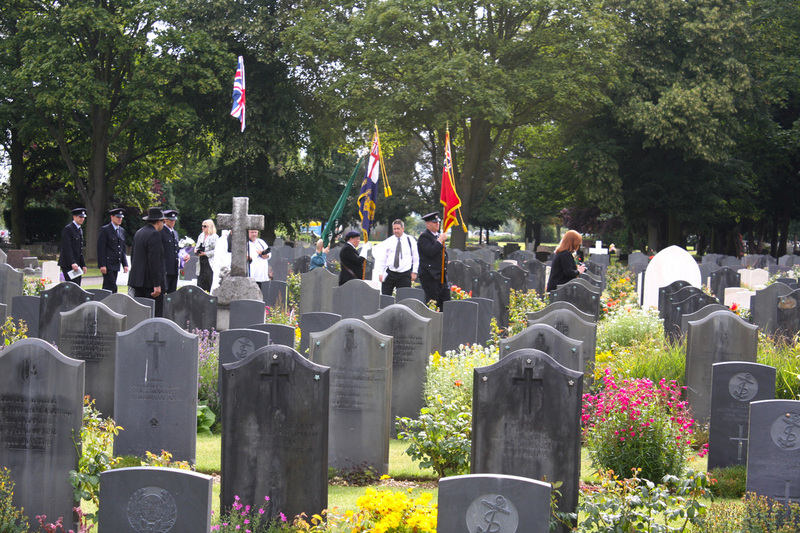 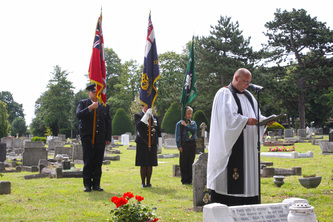 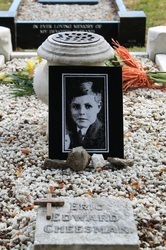 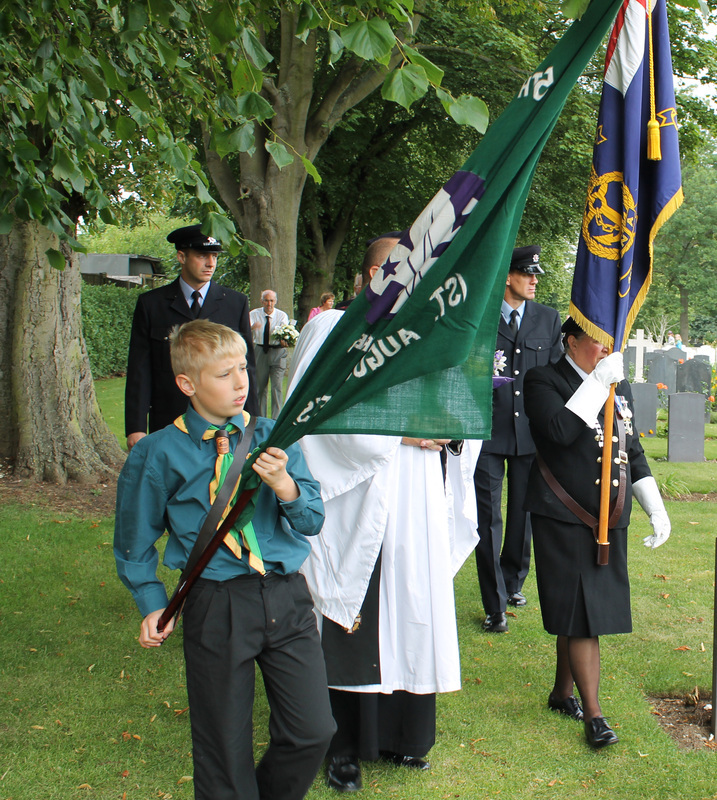 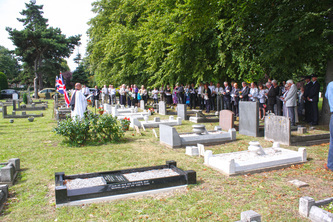 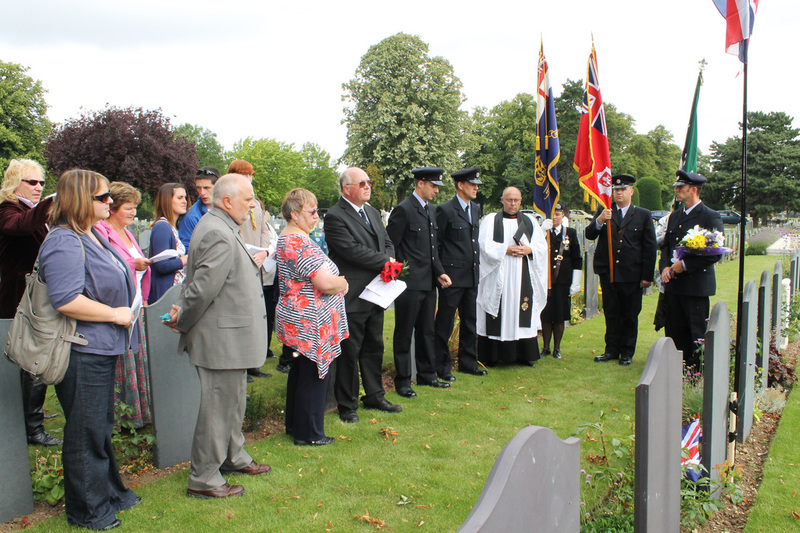 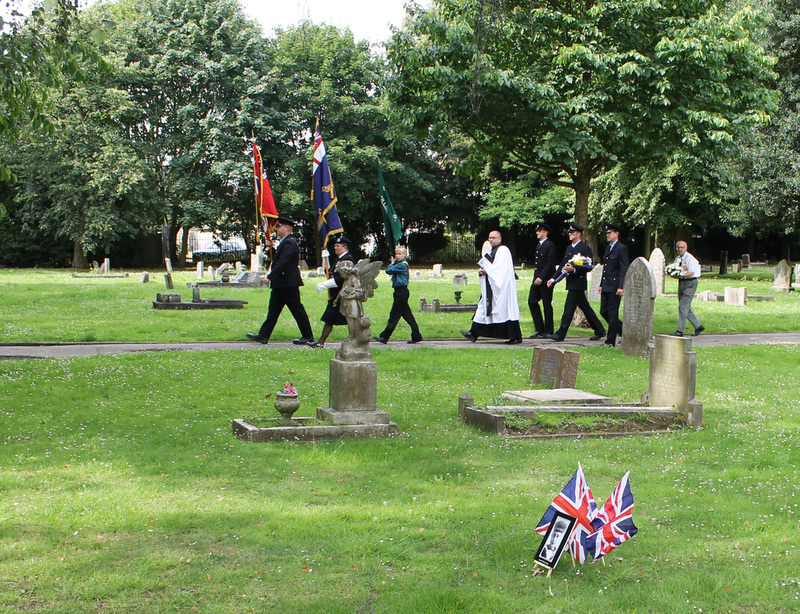 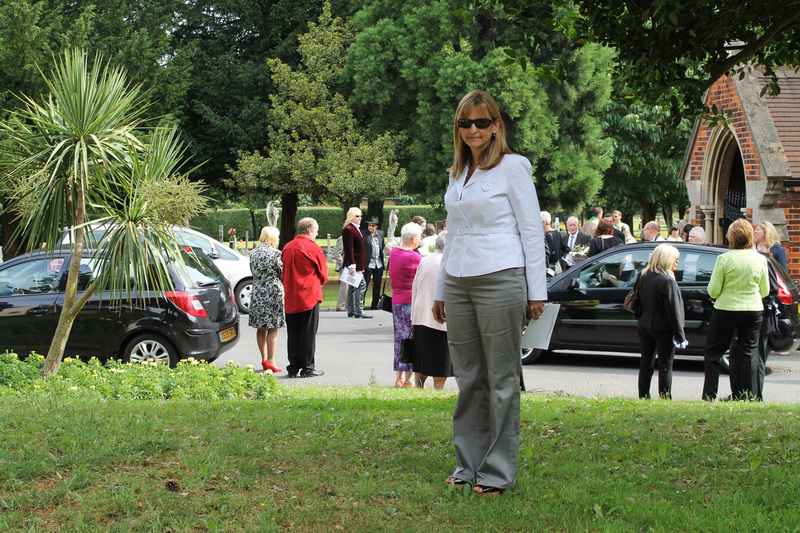 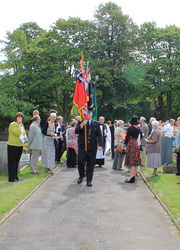 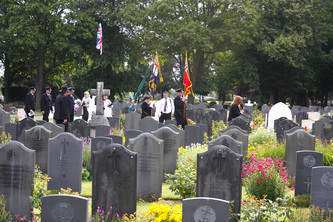 Family members gathered at the Chapel in the Woodlands Cemetery and formed a procession lead by the standards of the Kent Fire and Rescue Service, North Kent Group, the 5th Gillingham Scouts and the Chatham Royal Naval Association. 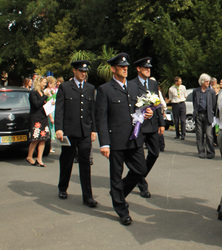 Reverend Johnathan Jennings was followed by three uniformed Firemen and the family members. 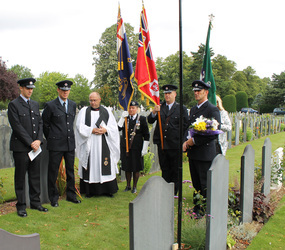 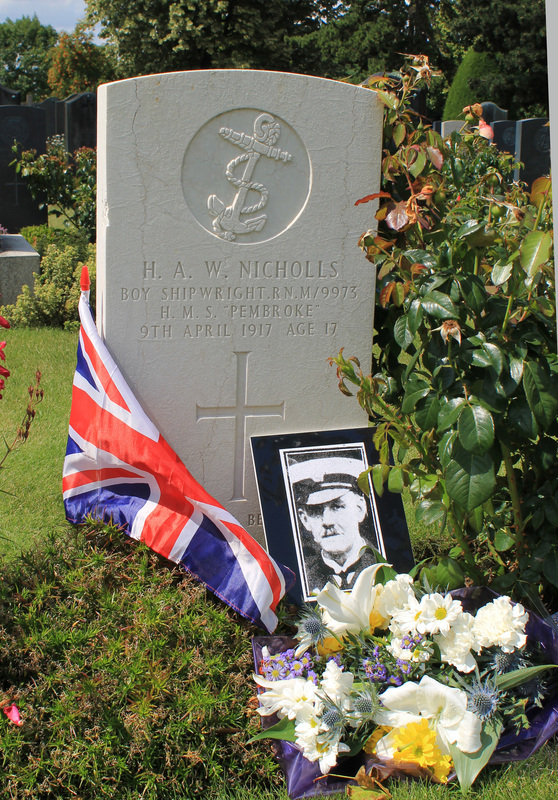 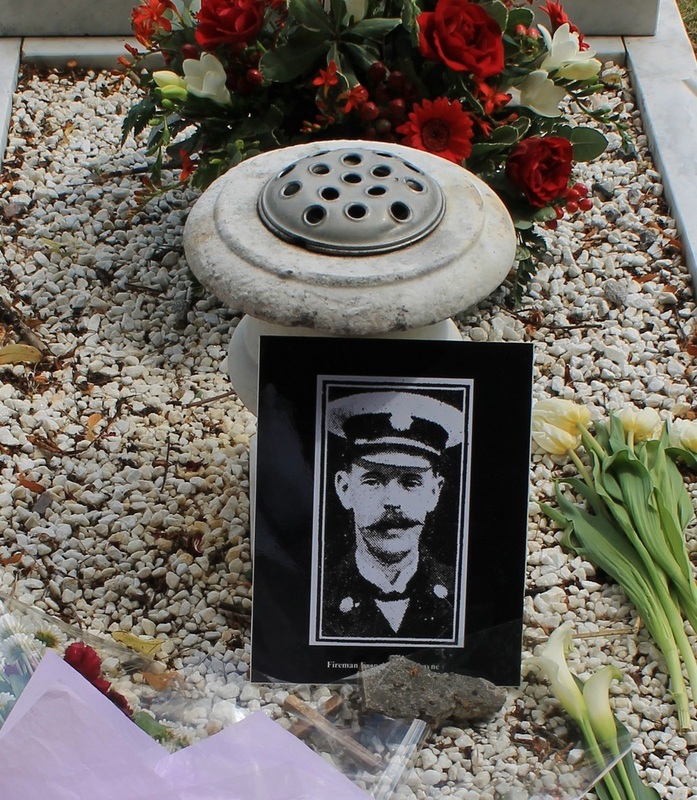 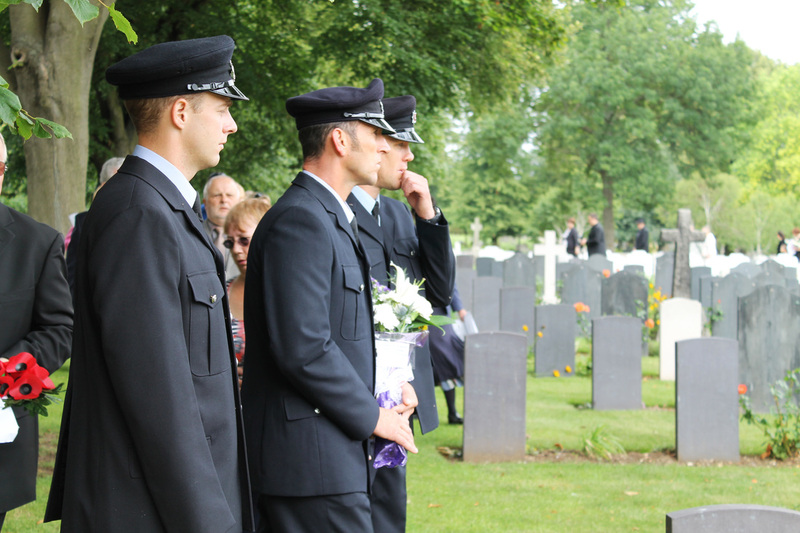 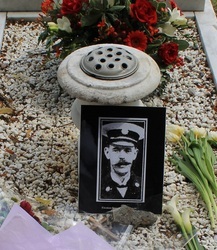 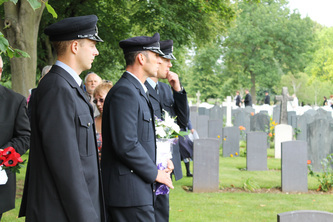 Respects were first paid at the graves of Cadet Leonard Charles Searles, Petty Officer John Thomas Nutton and Fireman Albert Joseph Nicholls. 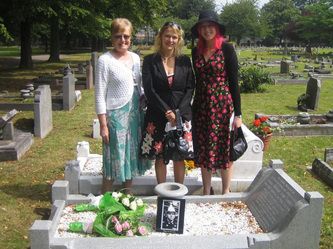 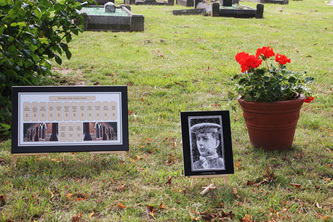 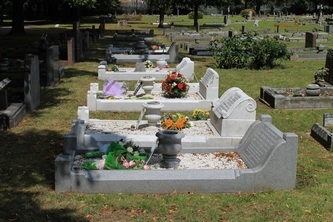 These three victims were buried in separate parts of the cemetery. 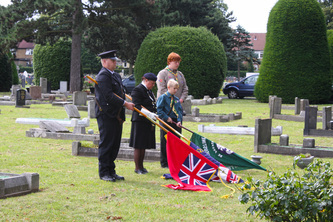 After the Kent Fire and Rescue Service paid respects to Fireman Nicholls on behalf of his family who could not be present, the procession proceeded to where Scout Eric Edward Cheesman, Cadet & Scout Ivor Douglas Weston Sinden, Cadet David Stanley Brunning, Leslie George Neale, Scout Leonard Gordon Winn, Scout Reginald Henry Lewis Barrett, Scout William Herbert Jack Spinks, Robert Dennis Usher, Fireman Francis Bull Cokayne, Frederick Arthur Worrall, Royal George Mitchell and Fireman Arthur John Tabrett were buried in a row. 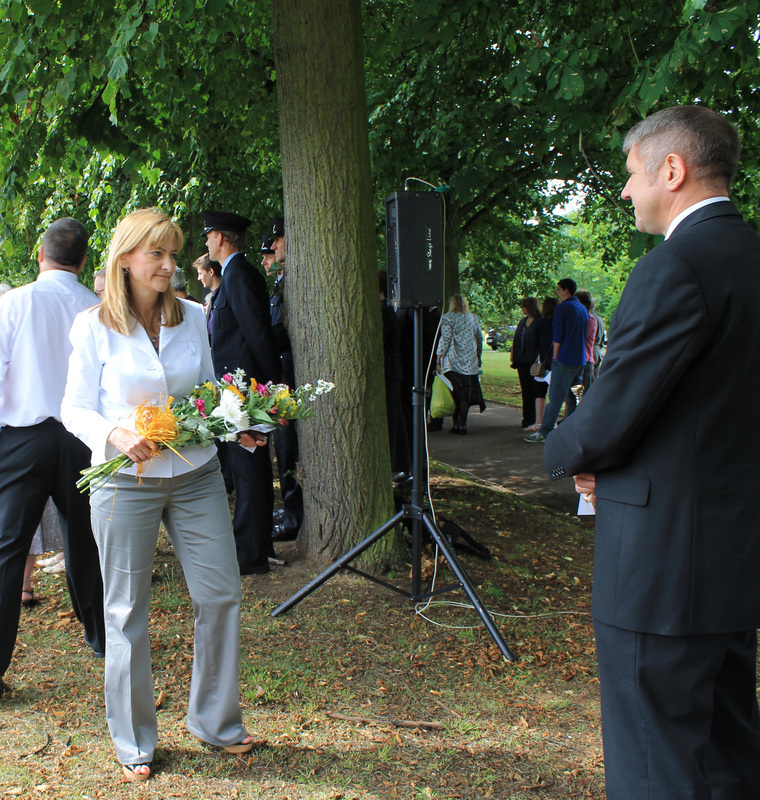 At the start of the 20th century a summer fete was held annually in Gillingham Park, in aid of St Bartholomew's Hospital Fund. 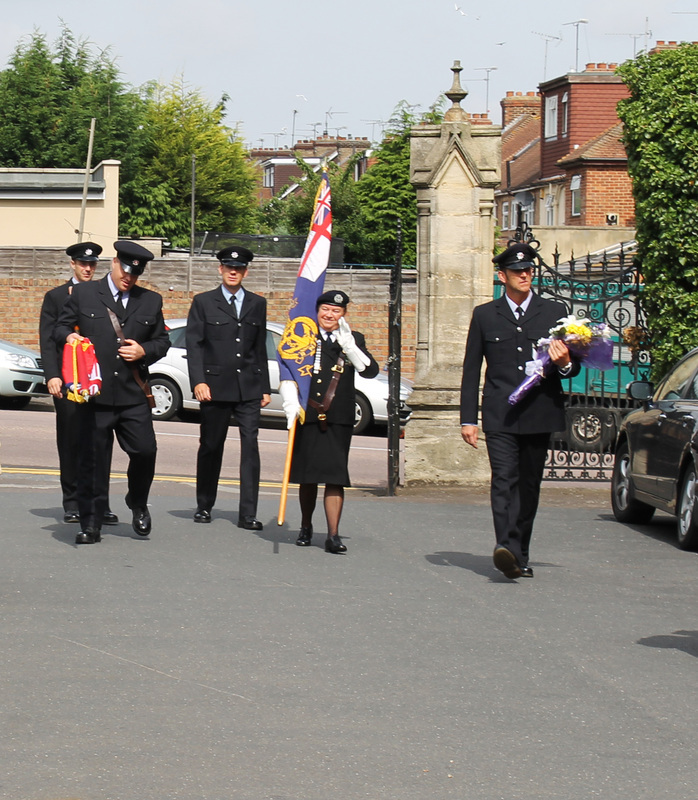 The finale was always a rescue and fire-fighting demonstration by the men of Gillingham Fire Brigade. 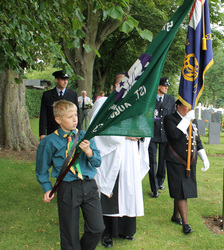 Local men, naval cadets and sea scouts, dressed as a wedding party, would enter a purpose built wooden tower. Gillingham Fire Brigade would then rescue them, showing their skills. Once the party were safely out of the tower, a real fire would be lit, to allow the fire brigade to demonstrate their fire-fighting abilities. 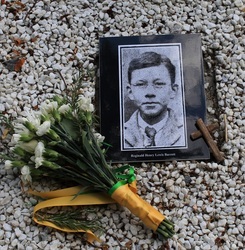 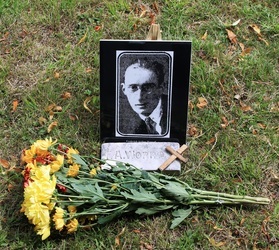 On Thursday 11 July, 1929 the demonstration went tragically wrong. Once the party were in the tower, flames were seen at the base of the building. 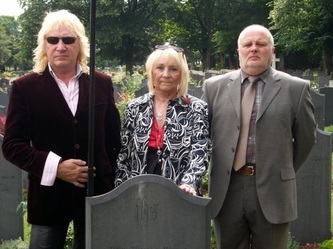 The spectators, who included many relatives of the people inside the tower, didn't realize that this was not part of the demonstration and that the screams from the occupants were real. 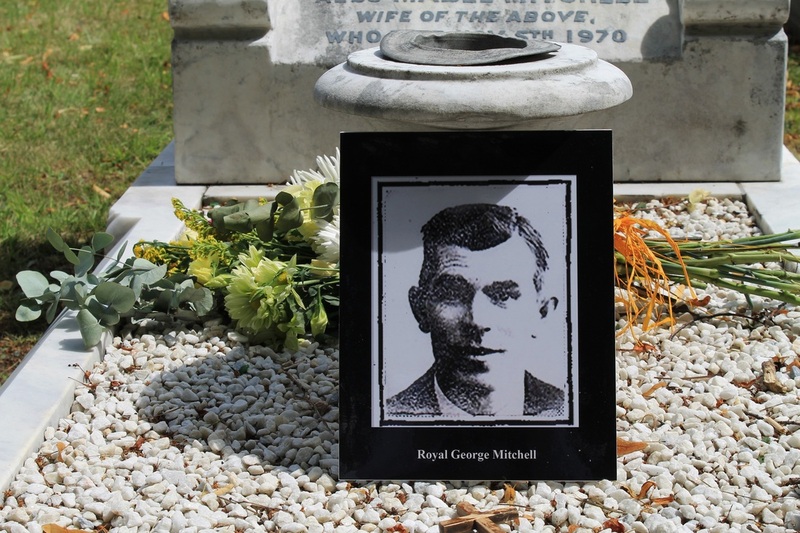 It was only when figures engulfed in flames, and illuminated by a searchlight, started leaping from the roof that the reality of the situation hit them. Despite extinguishing the fire quickly, everyone who was brought out was either dead or would die within a few days. 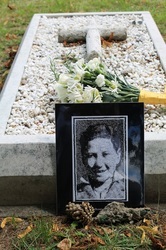 Nine boys between the ages of 10 and 14 were among the fifteen victims, which also included three local men and three firemen. 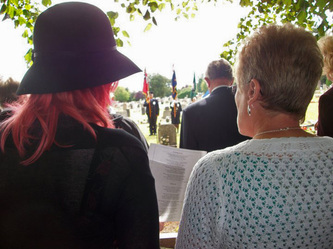 "I cannot begin to imagine the pain and sorrow felt by the families of the victims...i cannot begin to imagine the pain and sorrow felt by my grandmother, my mother, my aunt and my uncle...may they Rest In Peace"
Thank you for inviting us to take part today. Our present Scout Group are the successors to the original 3rd Gillingham and last year was our 100th anniversary. 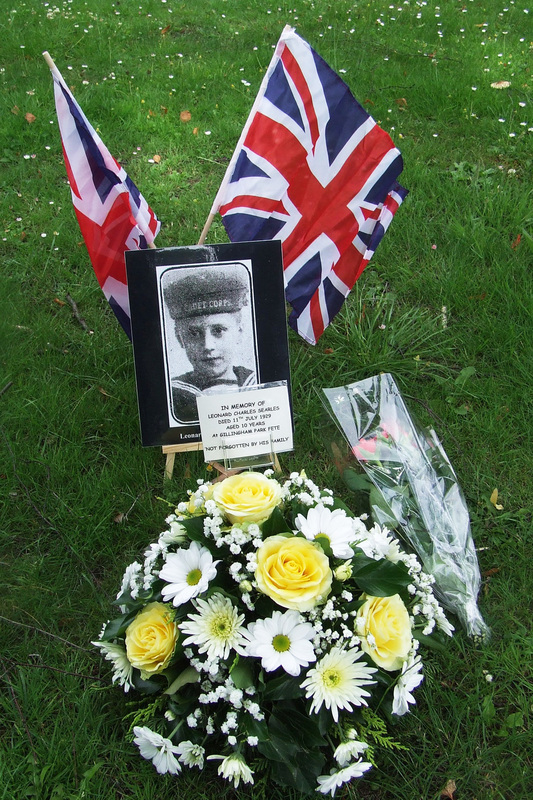 Today we are all gathered to remember the terrible tragedy of the Gillingham Park Fete fire and it is now well known, at least four of our young Scouts from this Troop perished in the fire. They had all no doubt willingly volunteered to take part in the display and we leaders all know that they would have been excited, having fun and laughing with their mates whilst waiting for the display to start. 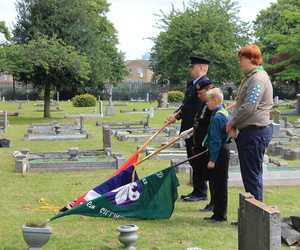 In a few weeks time, our Scout Troop will be going to camp with Scouts of the same age as those who perished and they will be just as excited. 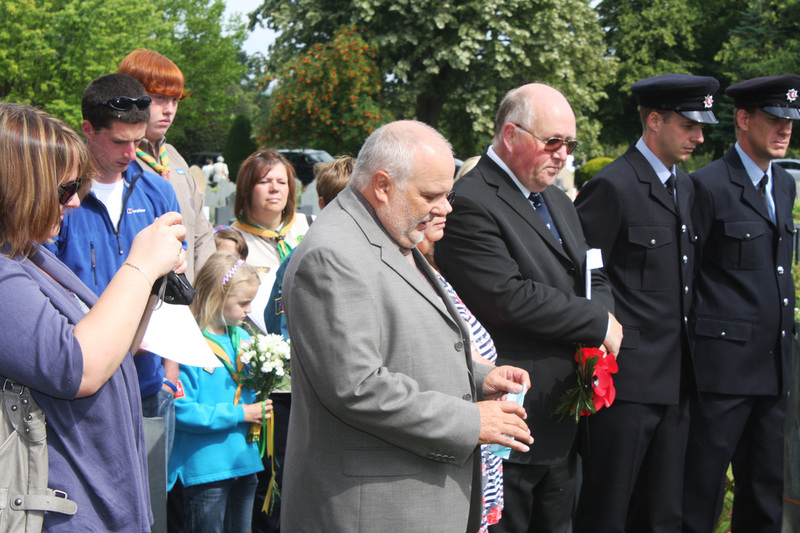 Our thoughts at this year’s camp will certainly be with the families here today as we remember their tragic loss. 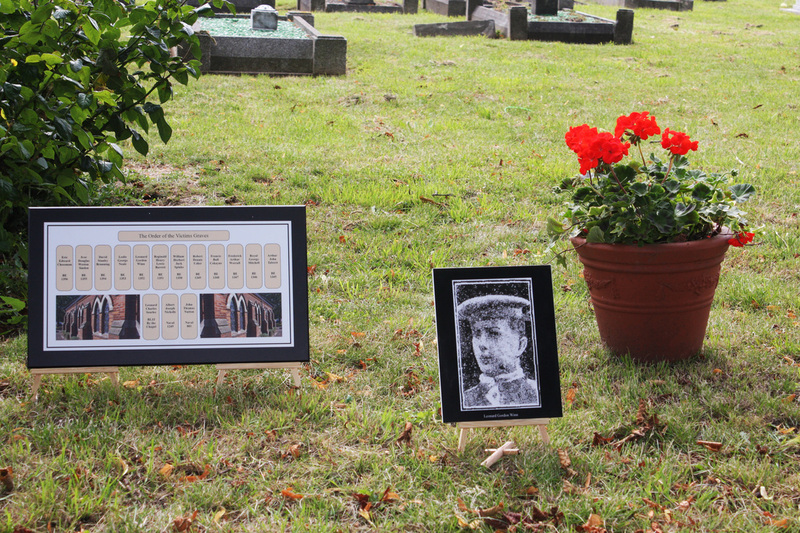 Some of you may know, as well as the memorial window in St. Augustine’s Church, our research for our centenary has shown that there was a memorial ‘chair’ carved by the members of Gillingham Grammar School where some of the Scouts and Cadets were pupils. Unfortunately, when the school moved to another site a few years ago, we have been unable to trace the existence of the chair but our investigation is still ongoing. 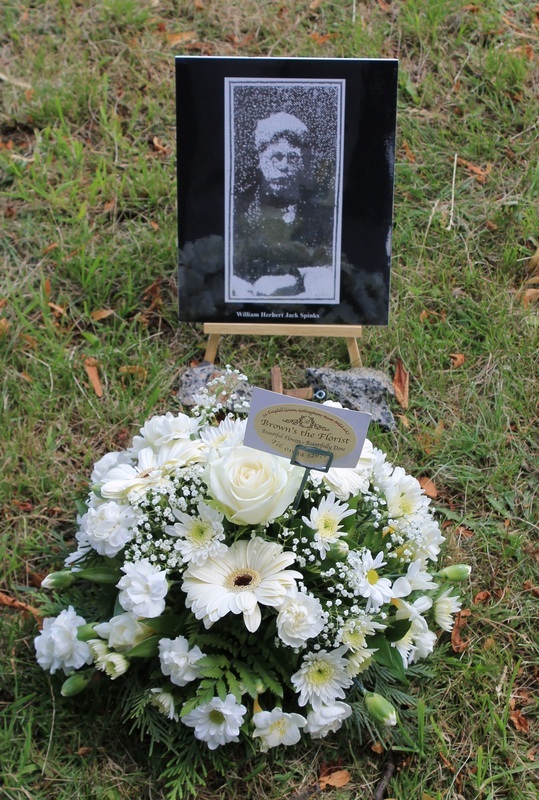 My grandfather, Francis Bull Cokayne was, by all accounts, a popular family man well known in Gillingham as a painter and decorator and a skilled signwriter. His beautiful handpainted signs could still be seen on older shops and business in and around Gillingham until quite recently. 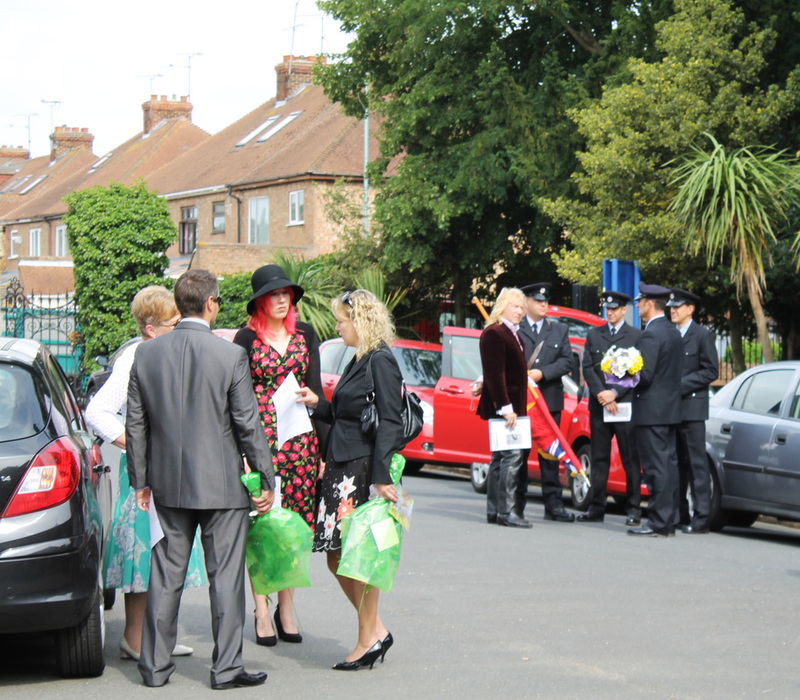 The loving father to ten children and three that died prematurely he lived with his family in Canterbery Street just a stone's throw from the fire station in Green Street where he was a volunteer fireman. His youngest daughter May, now 90 years old, has lived in the family home the whole of her life. 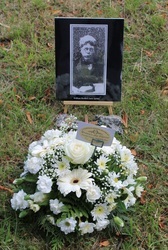 She is our only living link to the man we never knew and the tragic events of 82 years ago. 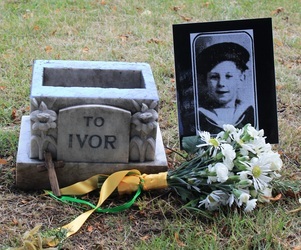 Mercifully May, her mother Caroline (known as Kitty) and brothers Stan and Ron decided not to attend the Gillingham Park Fete that year and so were spared being witness to the horrific fire that killed so many. 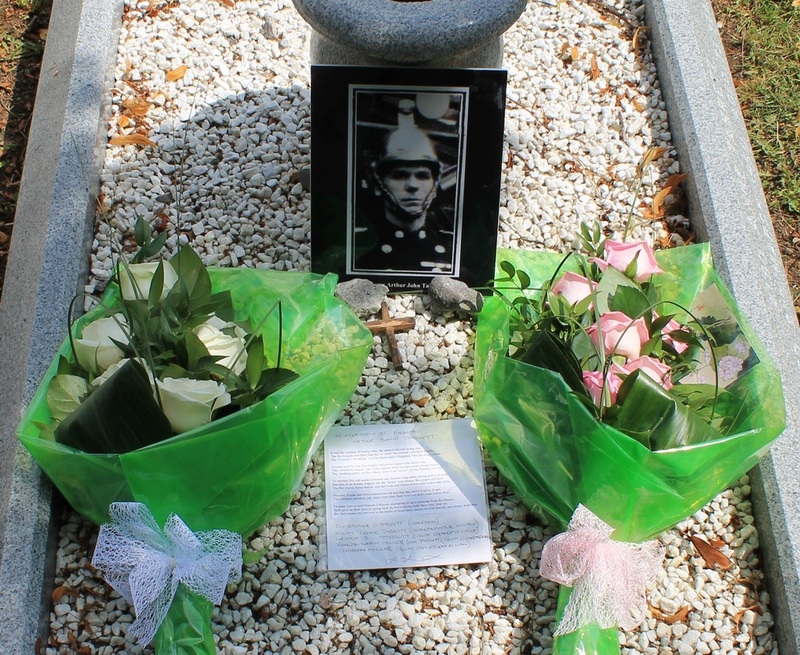 Despite the terrible death of their father, three sons, Frank, George and Ron all subsequestly followed in their father's footsteps and became part time firemen for many years. 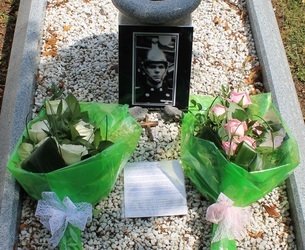 We are proud to know that the man who died a hero that day trying to save the lives of others was our relative. 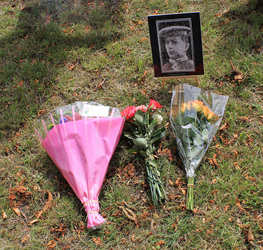 Sadly a man none of us had the chance to meet. 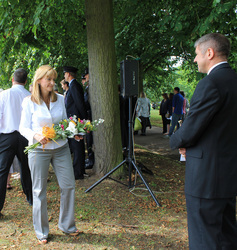 The ‘Fireman’s Wedding’ was the theme and Gillingham Park the tragic scene. 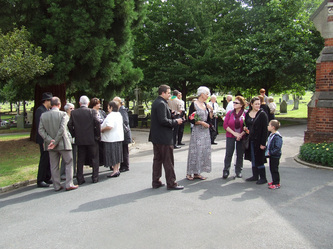 The ‘wedding party’ on floor three, were to be ‘saved’, by the firemen, you see. To emulate fire, red smoke billowed out, firemen responded, strong men and stout. But alas, in an instant, tragedy hit, the ‘house’ was aflame, the people still in it. The fire was so fierce that no one survived, and fifteen brave soles ended their lives. 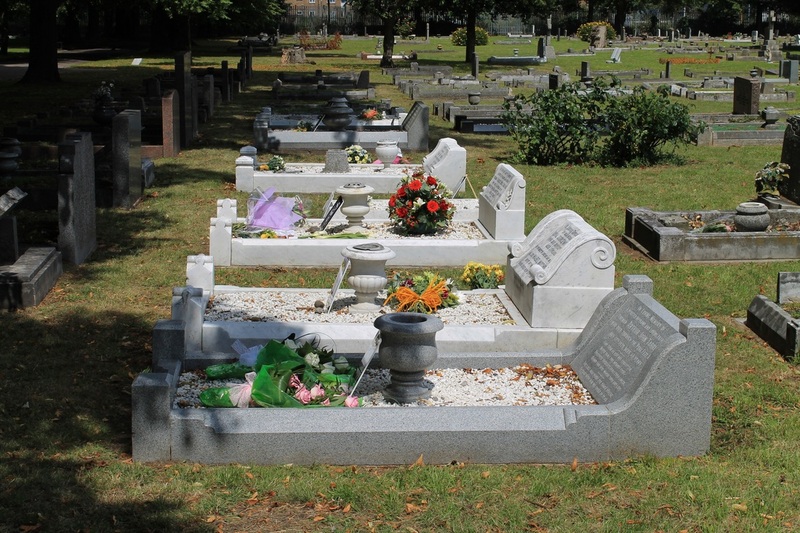 That children perished, yes, there were nine, their lives cut short years before time. 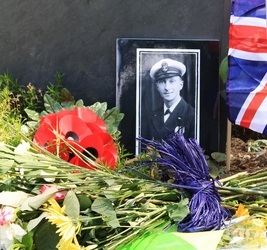 Both gave up their lives by going back in, brave heroes both, their loss, total sin. 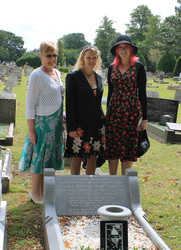 But their names live for ever in the hearts of those here, names we will cherish, and always hold dear. 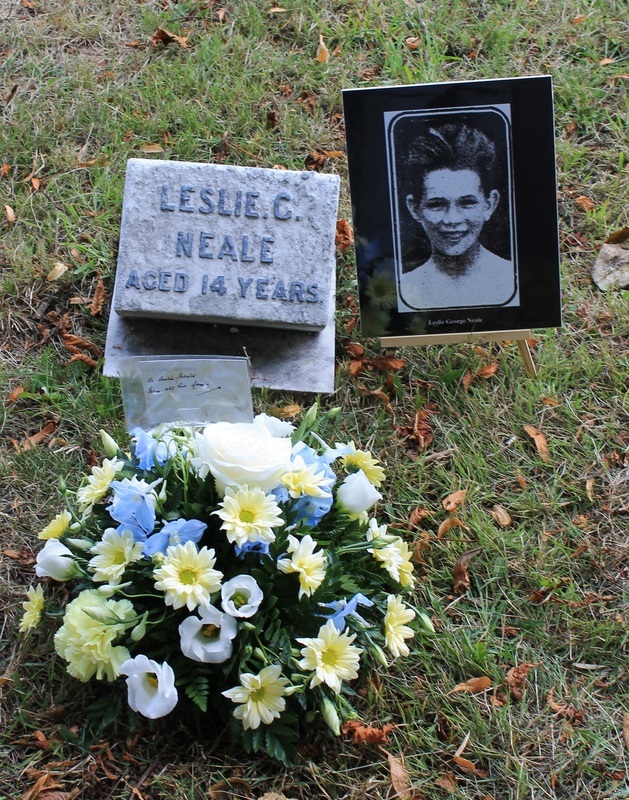 "The nephew and nieces of Leslie G.Neale,wish to remember this brave young boy.he risked his life to save his friend but was unsuccessful. 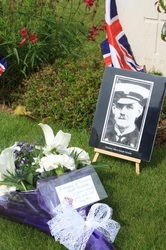 We are pleased he and the others are being remembered in this way"